It's a tiny place so you might not always get a table. But do not fret, they do takeaways and home deliveries. And you can always give them a call and book a table in advance. 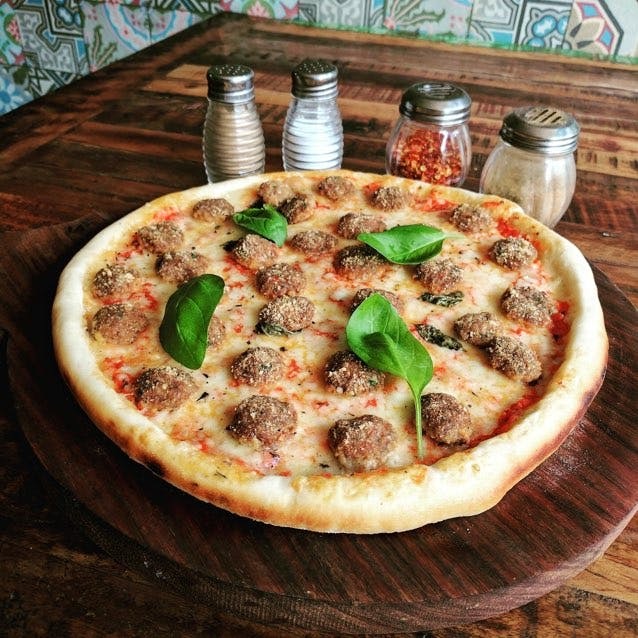 Their 12 inch pizzas come in many vegetarian and non-vegetarian options and their most expensive pie, majestically called The Ultimeat, will cost you INR 400. Their pitas include falafels, halloumis and other variations all priced under INR 150. Do not miss out on their Basbousa bil Kishta, which is a popular Mediterranean dessert that is a semolina cake with a clotted cream centre. Yep! It's as delicious as it sounds.